Remember to access your Parent Features. These were designed to spark conversations with your kids at the dinner table, before bed, or during the car ride home from school. 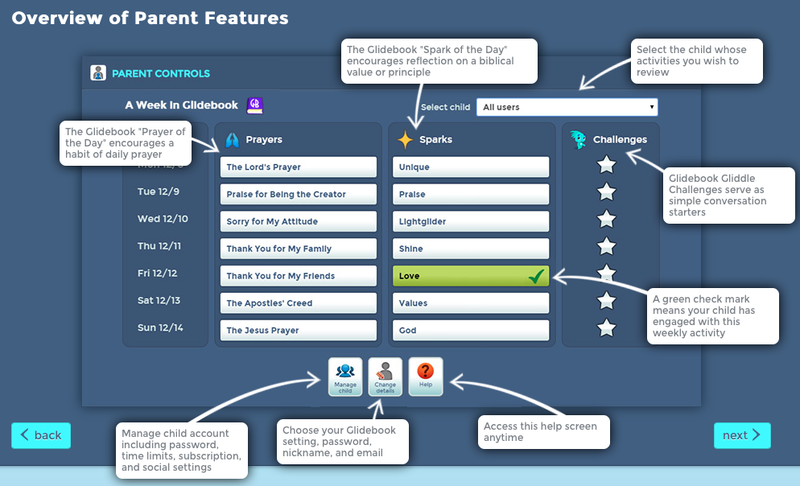 Login to your Parent Account to review the past week's activities in Glidebook. They include conversation starters (called Gliddle Challenges), devotionals (called Sparks), and daily Prayers. With every meaningful conversation, you are planting a seed of hope and purpose!